The sun shone down upon the beautiful grounds of Knockburn Sporting Loch as the 2017 SUPathlon got under way. Our team were delighted to join in the fun and challenge at Scotland’s only SUPathlon event for participants, young and young at heart, with a 1400m SUP, 10km off-road biking and 3km cross country run - my goodness wasn’t it competitive! 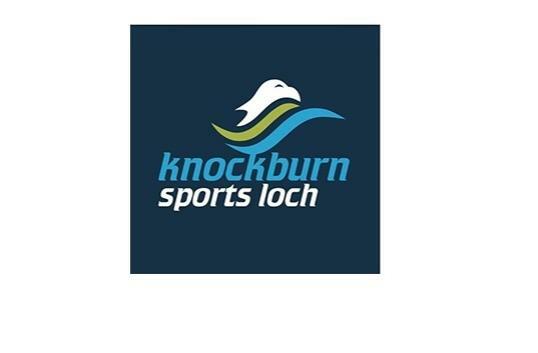 The event was organised by Knockburn Loch / Big Cow Events and timed by ResultsBase to show what a truly great venue it is for sporting, entertainment and corporate events. There was lots of messing around on the water as the beginners and professionals acclimatised to the water on the wonderful purpose built loch, getting ready to start the Stand Up Paddle Boarding split that launched just after 10am. It was clear to see this element was going to keep the supporters and spectators thoroughly entertained throughout the different waves. Next came the “gruelling for some” 10km Off-road Bike Course which consisted of 4 laps of the site showing off beautiful scenery in between gulping for air, quick gear changes, and wiping away drops of sweat! The Supathlon finished with a scenic 3km cross-country run through the extensive grounds, including a quarry, back to base to a well earned applause and a most welcome bottle of water or maybe stronger - cuppa! Such a fantastically competitive (for some) challenge, so well organised by Tom (Knockburn Loch) and Henry (Resultsbase, Big Cow Events) and the excellent team at Knockburn Loch - just look at those great photographs of (mostly) smiling faces! The spectators and marshals and audience got fully stuck in with shouts of kind encouragement, cheers and smiles aplenty it was not just fantastic fun but a great learning experience for many first timers including Team Challenge Company - we know this could be the start of a new career of SUPathlon competitions to come at Knockburn! With a delicious menu available in the Knockburn Café and a fair few swigs of hot tea, coffee and a cookie - or seven - before prize giving it was well done to all the winners and a huge congratulations to all those who gamely stepped up to the SUPathlon challenge. As the afternoon drew to a close as the sun was still beating down and the competitors made their way home with aching muscles to a well deserved “feet up” for the evening. A huge thank you to Tom / Henry and their team at Knockburn Sporting Loch for all their hard work in putting together the most excellent, inspirational and unique challenge. We very much look forward to joining you all again soon - we may even bring some friends, colleagues, family and clients and who knows we may even do some training for the next one!